Do you work for GIMP? Learning about GIMP? We can help. "Ability to work in layers"
"Muy potente pero difícil de aprender"
Gimp es una herramienta muy poderosa para editar y retocar imágenes e imágenes basadas en Software Libre. Una de las ventajas de Gimp es que ya está incluido en la mayoría de las distribuciones de Linux. Tiene la mayoría de las funciones básicas y avanzadas para retocar fotografías y es compatible con la mayoría de los formatos. En general, la personalización es lo que hace de Gimp un gran software. GIMP tiene todas las características básicas, como capas, canales, filtros infinitos, máscaras y mucho más. Sus características están bien desarrolladas, desde el ajuste fino de las imágenes hasta la creación de ilustraciones desde cero. Gimp me ha sorprendido en su momento y sigue haciendo que cada versión de GIMP cubra las necesidades de edición de imágenes. En el área de trabajo ofrece varias herramientas que no tienen nada que envidiar a otros programas de manipulación de imágenes. Desafortunadamente, la interfaz es confusa y las correcciones aplicadas no se perciben bien. No tiene una función de sombra interna incorporada. Sin el uso de un complemento, es imposible producir el efecto de sombra interior sin los complementos. (Sí, se puede hacer seleccionando y jugando manualmente con los valores de lápiz, relleno y gradiente, pero los resultados son confusos. Gimp is a graphics editor with a few years of tradition. The main advantage of this program is that it is available completely free of charge under the GNU license. Another huge advantage of Gimp is that it is compatible with all popular operating systems, including Linux. Gimp is therefore an unrivaled editor for Linux-based systems. Gimp has a large number of features that can be used both when working on projects and in everyday life. Gimp has a pleasant interface, which has evolved, at the turn of the years with its support can cope with all users even those less technical. It is worth mentioning that thanks to the fact that Gimp is available under the GNU license, anyone can download its code and compile or edit it. One of the drawbacks for some users may be the fact that Gimp by the fact that it is an open-source solution it does not have 24/7 help, which would be able to help us as in the case of competing solutions. If you are looking for a graphical editor that will allow you to create projects as well as edit them, you should consider trying Gimp right now, especially since this solution is available completely free of charge. Thanks to using Gimp I can with a few mouse moves create graphics, which is then used in advertising banners of my company, as well as in templates for e-mails. GIMP ist eine Open-Source-Software, die ursprünglich für Linux entwickelt wurde und derzeit Unterstützung für Windows und MacOS bietet. Die Anwendung hat sich in einem solchen Umfang entwickelt, dass sie mit anderen ähnlichen Anwendungen konkurrieren kann, wobei Zahlungslizenzen das Gegenteil von GIMP sind ist völlig kostenlos. Mit der Anwendung können Sie Bilder auf professionelle Art und Weise bearbeiten, indem Sie externe Plugins verwenden, die GIMP um Funktionen ergänzen, mit denen Sie bestimmte Anpassungen mit nur einem oder zwei Klicks vornehmen können, insbesondere die Erstellung von Objekten mit Schattierung oder Entfernen von roten Augen persönliche fotos. Im visuellen Bereich wurde GIMP wesentlich verbessert. Obwohl es besser sein könnte, wurden standardmäßig verschiedene Themen hinzugefügt, um die Sichtweise der Anwendung zu ändern. Es ist auch möglich, die Größe der Symbole zu erhöhen, damit sie besser gesehen werden. Obwohl sich GIMP durch Hinzufügen neuer Designs verbessert hat, um auswählbar zu sein, zeigt die Standardanwendung immer das weniger bunte und das gleiche an, das vor genau 4 oder 5 Jahren verwendet wurde. Es scheint jedoch eine schlechte Entscheidung zu sein, neue Themen hinzuzufügen, die sich verbessern das aktuelle und setzen Sie es nicht standardmäßig. Mit den Symbolen ähnelt etwas Ähnlichem wie bei den Symbolen. Wenn andere Optionen im Programm enthalten sind, werden diese standardmäßig nicht verwendet, und ich denke auch, dass sie die größeren Symbole standardmäßig belassen sollten. Diese Anwendung würde es allen Leuten empfehlen, die nach einer kostenlosen Alternative zu Photoshop suchen und nicht die Macht verlieren möchten, die sie hat. Obwohl bestimmte Dinge unterschiedlich sind, sind die Ergebnisse normalerweise ähnlich. Ich brauchte eine Anwendung zum Bearbeiten von Bildern, mit der ich einfache Retuschen vornehmen konnte, z. B. das Ausschneiden von Bildern, aber auch die Fähigkeit, bei Bedarf weitergehende Aufgaben auszuführen. Außerdem musste die Anwendung vollständig Open Source, kostenlos und mit nativer Unterstützung sein für Linux. "good program and easy interface"
a good program is very convenient good interface, great program for a beginner.Easy menu beautiful interface many different functions.I quickly learned how to use it and advise it to all my friends use it thanks to the fact that I advised them and they really like its interface.And of course very pleased that this program takes up very little space and does not require strong PC components. 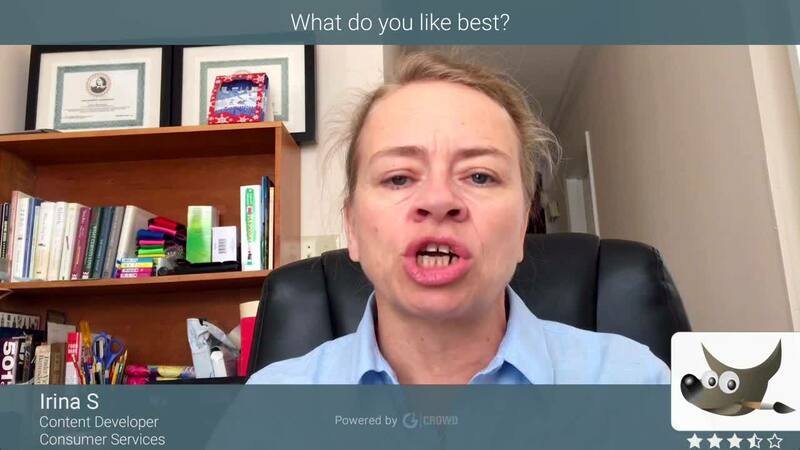 this program is very simple in interface and it will be very convenient for beginners to use it.it is easy to understand what makes each of the tools the best program I have used. beautiful interface, many different functions often use.it is easy to understand what makes each of the tools the best program I have used. "The program is not for professionals. Few features." 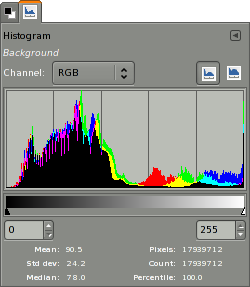 Gimp is a simple graphical editor. I especially recommend it to beginners! Photoshop or GIMP , I choose GIMP . Of course you can now start endless debates about the fact that photoshop is better, it's used by a lot of people. However, this is all a banal show. In my opinion photoshop for professionals. It is a very heavy interface and very hard to understand how to produce for example any detail. Gimp is a program that is intuitive for every user. Its interface is similar to the standard paint software that everyone learns in schools. However, the only drawback as for me, is that in this program all the elements are presented in different Windows. For example, if you accidentally close the toolbar, then you need to display this window again in the settings. However, if you do it for the first time, it is not so easy to do. It would be better if the toolbar and all other settings were built into the main window of the program. One of the most pleasant news is that this program is free. As well as to this software updates are regularly released, which should be downloaded from the official website in order to avoid attempts to penetrate your computer viruses. However, you can set the settings to automatically update the application, ie when you start the program, it will offer you to upgrade to a new version. If You are new to this business then do not worry. On youtube there are many video tutorials that will help You quickly understand this program and understand its full functionality. I recommend GIMP to beginners. The program is very easy to learn. Helps in simple design works. "The best alternative to edit images"
The best thing about GIMP in my long experience making use of this application is the possibility of doing the same tasks that I did in photoshop, but free. The tools that GIMP offers for the edition of images is very broad and work perfectly, included sometimes when professional results are required. Also with GIMP we can not only edit images but it is also possible to create small videos and export them into gifs. Also highlight the support in a native way that the application offers when using graphics tablets, scanners, printers or other types of hardware that must be communicated with GIMP. The application is available for Windows and Linux operating systems, natively so it is not necessary to install through emulators. -Support of native way that the application offers when for graphic tablets, scanners, printers or any other type of hardware that should be communicated with GIMP. -The application is available for Windows and Linux operating systems, natively so it is not necessary to install through emulators. -Although the application is the best free alternative that exists, it is missing the ease to edit images offered by the application in comparison with Photoshop. -The application should work by default using the single window, the floating panels are very annoying when your screen is not big enough. Gimp is a highly recommended application for those who are looking for a free alternative and that offers a large number of tools for image editing. I also recommend the use of the application under the Linux operating system because that is where it works best in my opinion. I use GIMP in my work as a free alternative because my company's budget is not very high and you can not afford the price of a Photoshop license. Thanks to GIMP we can do our work and save money, also personally, after so much time I got used to using the application and it would not change again. "Great tool as photoshop alternative"
Its stability is the best thing of the application since one can use it all day long and not have any failure that causes the application to close unexpectedly, something that has happened to other applications causing me to lose time since the progress is not is saved, with GIMP you can configure to run automatically saved every so often as a security measure although it is not really necessary. The application works on different platforms or operating systems, I have personally tested with Windows and MacOS and I have not seen major differences in operation so I can say that they are 100% the same application in terms of stability and performance. The best they perform in each update, although they are appreciated, do not end up revolutionizing the application and take it to the next level, that is to compete directly with image editing applications that are TOP in the current market as PS. Download always the latest version of the application because it contains the latest improvements which improve the application in a remarkable way in each new version, in addition to solving bugs that may affect stability. With GIMP I can edit images in a professional way without having to buy licenses because the application is completely free, besides the consumption of resources is very low compared to other similar applications so it is possible to use it on my laptop. "An Open-Source, User Friendly Photo Design Suite"
GIMP has robust features out of the box but can be customized with plugins that would typically be costly with other photo editing suites. As an open-source product it is budget friendly and allows small businesses and sole proprietorships access to photo and image editing/creation features typically only seen in expensive software. The robust developer support and open accessibility to modify and add new features/brushes to GIMP- at no cost- is another strong feature that other photo editing/creation software lacks. Finally, the GIMP software suite is not a resource hog so it runs well on older, dated ecosystems with Windows and Linux OSes installed. While the core of GIMP is extremely intuitive and user friendly out of the box, some of the hidden "features" and power user functions are difficult to use and uncover. The UI is not the most user friendly and small, inadvertent changes to tool tips are difficult to undo. GIMP developers should consider continuing to improve the user interface to encourage new users to pick up this product. Improving visibility of power user features, like adding custom brushes, would be extremely helpful. GIMP allows us to generate graphics for our public-facing weblog and whip up social media outreach graphics to increase the appeal of our brand. Since using GIMP we have been able to rely less on outsourced graphic designers and instead use this open source product to save money, freeing our budget for other items. "Manipulate your images with quality tools"
First, Gimp is a completely free editor, it is very similar to Photoshop, however, its interface and its tools are totally different, among the best things that GIMP has, I can say that it has a great variety of brushes and something that pleases Me is that is available for Windows and Linux. I do not like panels of floating tools, sometimes I lose them and it takes me time to find them again, while the tools of clipping and selection are difficult to use. It is a tool that requires time to adapt, however, once it is mastered, it can be of great help to any company that requires the creation of designs and images. In my work we use Gimp in the first place because it is an option with which we save money, and secondly because it is a tool that, if we take full advantage, we will obtain many benefits. I am not a professional designer nor do I seek to be one, but GIMP allows me to make editions of different images easily and quickly with the same quality of a professional application. In the same way I can create icons that I can then use in different interfaces that I develop for some web page or application. The best thing is that it is a totally free and open source application, and it does not consume large resources of my computer once installed or while I am using it. So far there is nothing that I dislike of GIMP, I think that to be a free application is quite complete. The most advisable thing is that they use it, although if you are looking for professional level work, the idea is that you look for other options, since although GIMP is quite complete and of quality, there are some things in which it is limited. However it is still an excellent option to make fast editions of images with a very high quality. GIMP is an amazing program especially for the cost. Since it is a free program and doesn't take up a bunch of space on your hard drive that makes it even better. I use it instead of spending the money for Photoshop. I love how even a novice and photo editing can jump on and learn how to use it. It is simple and straight forward. There is also tons of help out there that can be used as a source to improve ones skills. I have used it on multiple occasions. Another thing that i really like are the icons they are simple and not confusing. You can figure out pretty much what they do from the way it looks. There isn't anything that I dislike about GIMP. I am able to use it on my windows and apple products so no negatives there. It is great to use. Just take your time and if you are completely new to photo editing or using a program like this just watch videos and allow yourself time to play with the program. It is a very forgiving program to use. I am able to produce maps for my job in detail. It has allowed me to take my operational plans to a whole new level. It has helped solve a communication issue in that when we have large events happening the old way of creating maps didn't allow the amount of detail and clarification that GIMP allows me to put on a map. "Great tool for image editing"
GIMP is an open source software created initially for Linux that currently has support for Windows and MacOS, the application has evolved to such an extent that it is capable of competing against other similar applications with payment licenses being that GIMP is the opposite of this because it is totally free. The application allows you to edit images in a very professional way, making use of external plugins that add features to GIMP that allow you to make certain adjustments in just one or two clicks, especially the creation of objects with shading or red-eye removal in personal photographs. In the visual part GIMP has improved substantially and although it could be better, different themes have been added by default to change the way the application can be seen, it is also possible to increase the size of the icons so they can be seen better. Although GIMP has improved in its look and feel by adding new themes to be able to select, the default application keeps showing the less colorful and the same one that used exactly 4 or 5 years ago, it seems a bad decision to add themes that improve the current one and do not put it by default. Something similar to the previous thing happens with the icons, that having other options included in the program are not used by default and I also think that they should leave the larger icons by default. This application would recommend it to all those people who are looking for a free alternative to photoshop and who do not want to lose the power that it has, that although certain things are different, the results are usually similar. I needed an application to edit images that would allow me to make simple retouching such as cutting images easily but also being powerful enough to perform more advanced tasks if needed, plus it was necessary that the application was totally open source, free and with native support for Linux. "Free alternative to image editing"
GIMP is a very powerful image editor with a very important difference compared to other editors and it is totally free, it has no license cost since it is an open source application created initially for linux but also works without any kind of problem in windows. The best thing about GIMP is that it is an application with a lot of development time which makes this application a very stable image editor. It is also famous for being very light both in the space it occupies on disk and its consumption of CPU and RAM once the application is started. Another feature that makes GIMP a great option is the community that provides additional tools for its use, especially brushes, plugins etc ... thanks to the plugins we can perform a large number of actions that usually take a long time of editing in just a few seconds. I recommend using GIMP if you are looking for a free alternative to photoshop, although it is not as powerful in certain aspects if it is a worthy competitor for the price you are paying for it, that is to say nothing. I needed a free application to edit images but most of the ones I found were very simple, thanks to GIMP I can edit images in an advanced way and even create them. All this for free. "Eine gute Wahl für die Grafikarbeit"
Als regelmäßiger Linux-Benutzer ist ein großer Vorteil für mich, dass GIMP ursprünglich für die Linux-Umgebung entwickelt wurde. Im Gegensatz zu vielen anderen Linux-Programmen verfügt GIMP jedoch über eine echte Windows-Version, die nicht schlecht portiert wird. Unter Windows ist es genauso elegant wie unter Linux. Es gibt keine Strafen für die Installation von GIMP auf jedem Computer, den Sie besitzen. Beim Mischen und Abgleichen der Dateien aus verschiedenen Versionen (z. B. Windows oder Linux) sind noch keine Probleme aufgetreten. Es ist rockig. Ich kann mich an keine Zeit erinnern, als GIMP tatsächlich abgestürzt ist. Wenn Sie zum Beenden bereit sind, werden Sie von GIMP immer daran erinnert, nicht gespeicherte Änderungen an Ihren Entwürfen zu speichern. GIMP verfügt über eine einfache, übersichtliche Benutzeroberfläche. "Einfache Schnittstelle" ist relativ; Viele Menüelemente verfügen über andockbare Fenster (wie z. B. ihre kommerziellen Entsprechungen). Durch die Verwaltung der verschiedenen Andockfenster bleibt das System einfach und übersichtlich. Gimp hat mehrere Probleme in Bezug auf die grafische Benutzeroberfläche und ist zwar eine großartige Anwendung zum Bearbeiten von Bildern, das Symbol-Design ist jedoch nicht sehr intuitiv. Wenn Sie auf ein Symbol klicken, wissen Sie nicht wirklich, welches Werkzeug Sie verwenden. Sie sollten die Größe der Symbole sowie ihre Auflösung erhöhen. Ein anderes Problem ist das Interface selbst, es sieht zu alt aus, es ist schade, dass ein so gutes Programm ein so unprofessionelles und präsentierbares Interface hat. Die Verwendung der Plugins und Skripts wird in GIMP unterstützt, da viele Plugins verfügbar sind, mit denen Benutzer viele zusätzliche Funktionen in der Anwendung ausführen können. GIMP löst die wirtschaftlichen Probleme, mit denen Photoshop konfrontiert war, da die Lizenzierung der Software sehr teuer ist, wenn Sie kommerzielle Lizenzen benötigen. GIMP helps us to manipulate images in such a way that they improve their visualization online, using universal color tones to help show them better on different devices. We are also realizing the advantage of having different tones for different devices, and how the simple functions of the GIMP terminals can allow us to test such conditions as if we were actually viewing the image on multiple device screens. What I like most about GIMP is that it is a multi platform application which is very useful for those of us working in different operating systems depending on where we are, at home, for example, I use Linux but at work they force me to use Windows, so it is great to be able to use GIMP in both systems. I also liked GIMP that has a large community that provides many extra tools such as brushes, fonts, plugins or templates .XCF to facilitate the work to other people who are new to GIMP. Although I like it a lot, GIMP has some unforgivable failures to be in the 2019, these failures are all interface and it is that the creators of GIMP should put more effort in improving the interface of the application since it looks very old, fact seems an application of 2005. The theme of icons the same, too ugly and in large resolutions look very bad. I would recommend using GIMP over other applications if you are looking to make image editions (or something more powerful) without spending on licenses, some think that because it is a free tool it should be worse than its competitors but GIMP is a very capable application. As a developer I must sometimes create or edit images for the applications with which I work or am creating, with GIMP I perform these tasks quickly (once you have learned how to use the application). Also thanks to the plugins that it has by default I can simplify and automate repetitive tasks like adding shadows to the text. I love that there are so many add-ons for this app. Being open-source, the potential for what you can do is virtually limitless. There are so many features that I have still yet to learn, but they are incredibly fun to experiment with. I've been able to do sooo much more with Gimp that I have with paid professional software. I dislike the learning curve. With all of this program's potential comes a tremendous amount of training. Luckily, there are a lot of great tutorials online. If you are looking for something easy to use, stay far away from Gimp. But, if you love to get into the nitty gritty of graphic editing, this software is a real powerhouse. Also, if cost is a concern, you can't beat FREE. In addition, having an open source format, there are always new add-ons being added. Virtually unlimited potential here. The only business problems that I have ever solved with this program is when I accidentally created something amazingly cool. For me, the benefit of this software is that it opens my creativity beyond the limits of industry standards. "Great software for image editing"
Gimp allows the editing and creation of images through layers, brushes, text, transformation plugins, rescaling and other professional tools offered by the application and that have nothing to envy to other expensive license applications. Gimp is an open source application with several development years whose license is free. Technically, the application offers many tools for the edition of images and even creation of images. - Support of different operating systems. Windows, Mac and Linux. - Although by default it does not include a large number of brushes, you can resort to the community and install additional brushes. - As happens with brushes we can add additional plugins to those that come by default. Gimp needs an urgent interface update, not just the interface, but the Gimp icons should better describe the tools they represent, not only that, the icons have a very low resolution. If you are looking for a free and powerful alternative to edit or create professional images, I recommend that you try Gimp, although at the beginning it can be difficult to understand if you are used to other applications. We use Gimp to create sketches that we can use to create websites or advertising posters among other things. Thanks to Gimp we can carry out these works without additional cost because there is no license to pay. "excellent tool to work in graphic design." It is a distribution software for photo retouching, creation and composition of images, and new functionalities are always added to facilitate design tasks and it is multiplatform. GIMP has all the basic features such as layers, channels, infinite filters, masks and many more. Honestly, I can say that Gimp has been, by far, the most useful and best software I have used, and I will continue using it for both business and for pleasure all the time that is available. It is the ease of use and design. I also like the fact that it's free. Without a doubt, I would not change it. It is best that I have been able to find my work the best as a professional, the best thing is that if we have any doubts about the program we can search the internet there are many tutorials that clarify our doubts. Gimp is an application that contains few functions in comparison to other paid tools editor of images we can say that one of them is photoshop. It has an interface that could improve. Magnificent work tool totally free I recommend it is totally easy to handle and it will provide great results and the most important thing is that it is completely free. My experience with Gimp has been amazing, it is easy to access. With it I have obtained great results in my work, becoming an expert and it allows me to do my jobs in a short time and save money. "The best free photo editor." One of the benefits that can be obtained from this software is that I saved a lot of money and facilitated some of the common tasks that I have as a photographer in my spare time. "Fantastic Free Software for Image maniplulation"
Simplicity and ability to actually do what I need, yet I don't have to spend hundreds of dollars. GIMP has all the features and strength of industrial software like Photoshop, but it's free, and open source. As a small business, having the ability to use a tool that's free is a fantastic advantage. I feel like it could use some optimization, it's a bit heavy on resources. I know that I work with some larger files and images upwards of 10x10 with 300dpi, but I also have a beefy system, and there should never be a question as to whether or not the software will crash. Also, the Layout can be a little "Wonky" at times, and the windows need to be reset every now and then. Make sure that you learn the tools extensively. Take the time to figure out what EACH ITEM does before you jump in head first. Odds are, there is a simple way to do what you want, and you don't want to get into one rhythm only to find an easier way. As an illustrator, I have to use something quick, simple, but effective. I feel like GIMP solves this with the multitude of tools it provides and the strength of said tools. The availability of the software is a HUGE advantage to the software overall. "Advanced edition of images with GIMP"
It is our business we are using GIMP for the edition of images mainly oriented to web design. Also GIMP provides power along with stability, I have not yet seen crashing the application after years using it. The application comes with a lot of default plugins that simplify the design work and shorten the delivery times of our projects. Personally I like to work using Linux so GIMP is cross-platform is something we appreciate. The only bad thing that I see to GIMP is its outdated interface, they have been using it for years with the same interface, I hope that they will update a bit soon and bring an updated interface. The icons should better describe the tool they represent. If you are a user of other image editing applications and you are looking for a free alternative, I recommend GIMP, especially if you have projects already started with other formats because GIMP is able to read .psd files natively. "Great editor for basic design"
We worked with gimp for a long time (although not only with gimp) and I must say that it is my favorite application for image editing because it is very stable and in my work we can not risk losing the work of hours due to a crash of the application. Working with GIMP is an extra insurance that I will not lose my job! But GIMP is not only stable, it is also a great editing tool, although it is not the best one that exists, it exceeds the majority of our work. Although I love GIMP I recognize that it may be insufficient for some tasks besides that its learning curve is a bit slow. Some plugins do not work correctly and often give many errors, especially those created by third parties are usually not compatible between versions. "A powerful based on free software tool for photo editing"
Gimp es una herramienta muy poderosa para editar y retocar imágenes e imágenes basadas en Software Libre. Una de las ventajas de Gimp es que ya está incluido en la mayoría de las distribuciones de GNU / Linux. Tiene la mayoría de las funciones básicas y avanzadas para retocar fotografías y es compatible con la mayoría de los formatos. En general, la personalización es lo que hace de Gimp un gran software Open almost any file related to graphics. Its features are well developed, from the fine adjustment of images to the creation of illustrations from scratch. Gimp has surprised me in his time and continues to make each version GIMP covers the needs of image editing for 90% of users of commercial programs and more expensive as Photoshop. In the work area offers several tools that have nothing to envy to other image manipulation programs. one of the weaknesses that I think GIMP has is that it does not have the functionality to process batch files. Gimp is the best, very complete, it has given me multiple benefits, it has made me much more professional in my work area. It's Ideal has no overcoming. "Free photo editing tool 2.10.6"
More powerful than most commercial photo editors on market, in 2.10.6 version Gimp deliver outstanding power, usabilities and working comfort for image manipulation in RGB mode. With additional free programs (Darktable is one of options) Gimp is ideal photographer companion. Designers can use it for extraordinary photo effects and adjustment of image parameters. Unfortunately, GIMP has no full support for nondestructive effects on images. And, second disadvantage, GIMP do not work with CMYK image, there are only export to CMYK Tiff ... And product support is based on great number of users and free forums. GIMP is free program and there are no budget for additional customer support, because all money goes to development. GIMP is more and more powerfull, and in last 2 year GIMP make switch to GEGL engine for effects and image manipulation, so it is wise to use it as much as you can in work or hobby. GIMP is free, GIMP is powerful, GIMP can produce professional image quality. I can use it for making adverts in my print magazine, my webs and design projects. Over last year Gimp become faster and very pleasant for work. "Get a quality experience with Gimp"
Excellent image editor, I can add add-ons and brushes that I like, it is also free software and I can use it in all operating systems, something I really like about Gimp is that it is completely customizable. It is not compatible with all image formats, it is also a little complex to work with the Gimp, since their tools and options are not so easy to manage, but once you adapt it will be a tool that will help you a lot. Despite the fact that it does not have such advanced and current options, it is a tool that will help you a lot since it does not require a large investment to be able to use it. This software is used a lot in my work to make photographic adjustments and create advertising banners, we can also use it on almost any computer since it is not a very heavy software. "A free design alternative, incredible"
Gimp is a manual tool for all types of designs, as it is free one would expect many flaws in the program and a very high difficulty in its use, but no, GIMP is easy to use, and also provides all the features and tools, which can be another application of payments, its environment in Linux and Windows is perfect, also is constantly updated, would not change to gimp, for any other payment software. For novice designers, it can be a bit difficult to use, since its use is not so friendly, if you do not have the knowledge, experience and the necessary bases, that every good designer should have, if you are already a professional and have experience with Other design software, GIMP is ideal for you. Previously very high figures are paid to have a design program of payment, thousands of pounds, which, annually was necessary to renew it, and pay more, to have it updated, or renew it, with GIMP, you do not have to pay anything, constantly updated, and does not charge anything, this tool is unique, as a designer, I recommend to all of them, who pay a lot for a payment tool, to try this wonder, without paying a single cent. The program is very full featured. I picked up several software suites to do the job, and ended up only needing this one. From zero graphic experience to providing client artwork in less than a week, the program gave me all the options and made it easy. It's tricky to figure out what does what out of the box. You need to spend some time setting things up before you can use it, but that wasn't really a bad thing. I don't have anything 'bad' to say about the product, it did everything I wanted and more. We had an issue with our designer. who left the company and took all her work with her. We needed that work, and we were able to use GIMP to rebuild it from what pieces we had. The catch is...none of us knew anything about doing graphics. GIMP made it easy for us to complete the project with no previous experience. "Just pay the money for photoshop"
I like that its free, but it is terribly difficult to use. Its like the annoying little brother to photoshop. Everything takes longer, text is harder to use, the tools are harder to use, the set up is harder to work with. Its a good FREE program, but Adobe's Creative Suite is only $30/month. If you are doing a ton of editing, just pay for the best program. Everything is just hard to use. It takes up a ton of space on my computer. For the longest time, every time I opened PDF it would open in GIMP. It did weird things to my desktop. Its a copy cat of photoshop. Dont waste your time or computer space- get photoshop. We switched because it took too much time to use. Previously, it was good for tiny edits. I still have it on my computer, but I never use it. "A Must Have for any Linux User"
There's a reason why GIMP is the most used photo-editing on Linux and a large competitor to Adobe Photoshop on Windows. That's because it's a free, open source photo editor which works in basically the same way. The best part about it is that it comes with little to no downsides. It supports a huge variety of plugins and scripts such as GIMP layer effects which gives it a lot of the blending options in Photoshop. It's lightweight too – on computers that struggle with Photoshop, GIMP can run as a suitable alternative because it requires little to no processing power to run. The downside to GIMP is that as stated above, it's a competitor to Photoshop and an alternative to Paint.NET. And that's where it stops. It's just an alternative. There are few innovations made or features that make you want to use it over the alternative/competing software other than the price (free). By default, GIMPs layout can also be quite hard to use - it defaults to a light layout which can be harsh on the eyes and hard to change for beginner users, and some settings are not visible by default. The icons in the software also appear dated - they have not yet utilised a flat or material UI and instead opt for elements of skeumorphism. This really shows consistently across the software. Make use of the plugins/scripts support in GIMP because there are a lot of plugins available that allow users to do many additional features in the application. GIMP solves the financial problems I faced when using Adobe Photoshop - the licencing for the software is very costly, especially for commercial licenses and this software served as an alternative and now runs as the main backbone for my graphic design business. "Good program for edit photos"
To start with, Gimp is a totally free proofreader, it is fundamentally the same as Photoshop, be that as it may, its interface and its apparatuses are very surprising, among the best things that GIMP has, I can say that it has an incredible assortment of brushes and something that satisfies Me is that is accessible for Windows and Linux. I don't care for boards of coasting devices, now and again I lose them and it requires me investment to discover them once more, while the devices of section and determination are hard to utilize. In my work we use Gimp in any case since it is an alternative with which we set aside extra cash, and besides in light of the fact that it is an apparatus that, on the off chance that we exploit, we will get numerous advantages. "Make the retouch of your image in your style"
It is a free distribution software for photo retouching, creation and composition of images, and new functionalities that facilitate design tasks are always being added and it is multiplatform. GIMP has all the basic features, such as layers, channels, infinite filters, masks, and many more. Unfortunately, the interface is confusing and the corrections applied to it are not perceived well. The few that could be located were not very convenient and, sometimes, the lackluster results make its use slow. It does not have a built-in internal shadow function. Without using a complement, it is impossible to produce the interior shadow effect without the add-ons. (Yes, it could be done by selecting and playing manually with the pen, fill and gradient values, but the results are confusing and immutable. I highly recommend using it since it is a software with which you will learn many good things. I like it very much and without a doubt it is a steep learning curve. 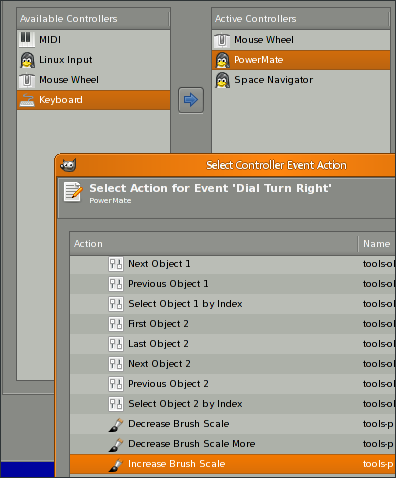 It seems to me a super fast tool and very complete at a professional level, the first shock are the scattered windows but it is only to go to the menu window -> single window mode, then everything you need is very simple there are countless tutorials. "Gimp. A very good (and free) alternative to photoshop." It's ease of use and layout. I also like the fact it is free. It is also good that there are numerous tutorials on Youtube showing you how to perform certain tasks, and may put some tutorials on my channel regarding Gimp. I can honestly say Gimp by far has been the most useful, and best free software I have ever used, and will continue to use for both business and pleasure for as long as its around! It does take quite a while to load up which can be slightly frustrating but doesn't affect the use of the software. I guess because I have used it for so long now that I find it rather easy to use but thinking back to when I first had it, it was rather confusing, but with time, use and Youtube it is an enjoyable programme to use with a reasonably easy to use interface. It is as good as any paid software and have many good tutorials on youtube if you get stuck! If you struggle with it to start with, do stick with it and it will become a real asset if you are using it for business purposes or messing around at home with pictures. In my opinion this software is well worth a look and has helped me build my business. As a small business I have a tight budget and Gimp offers everything I need to complete all marketing jobs I need doing and do them professionally. "Very practical image editor and completely free." GIMP contains many tools for graphic design, among its best advantages and what I like most is that it is very light and fast, contains many tools and pinseles with which you can create all kinds of digital art, also has very good contrast options and lighting. I can not deny that it is a good tool for graphic design, however, lacks some important features, I could also say that its interface and some tools can be difficult to use. It is a great tool that will not disappoint you, however it can be a bit difficult to use at the beginning since some tools and options can be confusing. It helps us a lot in terms of designs, we can create banners and advertising without problems besides that we can also use it on any type of computer, since it does not require as much memory as other similar editors. It is an excellent photo editing program that is easy to use, I like it because it gives me many free add-ons and I even had the opportunity to play with some source code. GIMP also has its source code available for compilation. Gimp does not have all the functions that Photoshop has, but it is quite close, and the fact that it is free makes it a very interesting option. Gimp is a software that I recommend to all who use it because it is easy, fast, light, practical and no more experience is required. I love Gimp and I have been using it for a long time in my work, as well as for other personal projects. This software can save my work in so many formats, which facilitates the use in other platforms.